I love watching a beautiful sunset. 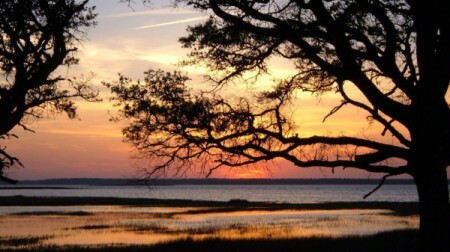 This is a view of the Cape Fear River at Fort Fisher, North Carolina. Fort Fisher has a museum, aquarium, State Park on the ocean, ferry that crosses the Cape Fear River over to South Port and some good fishing. It's a great place to visit while vacationing or taking a day trip. I just made a discovery. Right click on the picture then left click on view image and you get a full size picture. I don't know if this is something new that Thriftyfun has added recently but it is working on some of the photos in this contest. I love the large pictures. Beautiful photo. Thanks for sharing.